Winter wonderland bachelorette parties can also be a great time with the girls if you all enjoy the snow and/or skiing. Go to a resort or cabin at your favorite place and go skiing during the day and partying at the lodge or local bars during the night! Make it a few day trip or just for the day at a local ski place! Finish the night with some warm coco or Kahlua’s n Crème. Don’t forget the marshmallows and Smores. If you and the bachelorettes are more for an adventure, rent a camper and go on the road to your favorite camping destination. Go river rafting, rock climbing or hiking. You can even go to the beach and camp out, visiting some local bars during the evening of the last night out. Camping bachelorette parties bring the girls more together and make a more intimate group. 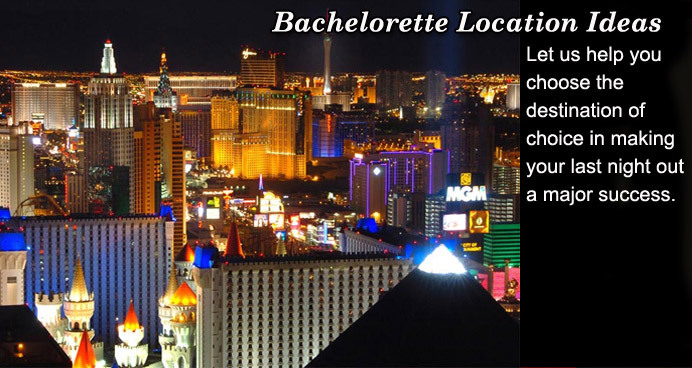 Bring some bachelorette supplies and play some bachelorette games. Start a campfire and roast some Smores. Some great memories and great fun with camping. If you live in Europe or have a group of bachelorettes from the states that want to visit on a long Last Night Out trip, check out some amazing places of the world in Greece, France, Germany, Australia, Hong Kong, England or anywhere your heart desires. Just make sure to plan way ahead, make sure the girls can afford the trip, pack appropriately and take lots of bachelorette party pictures.